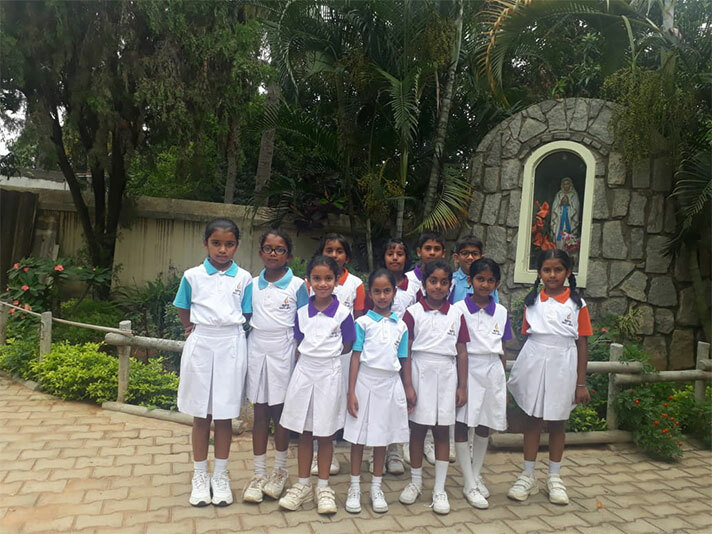 On 27th July ’18, students from classes 1-5 went on a field trip to different places of worship as part of their Social Science topic to understand the history, culture, architecture, traditions and beliefs associated with each place of worship. The first visit was to the Venugopalaswamy Temple, located inside the Devanahalli Fort in the town of Devanahalli. Students admired the Dravidian style of architecture and inscriptions in kannada on the wall of this temple. They also witnessed the serenity of the Jain Temple nearby. 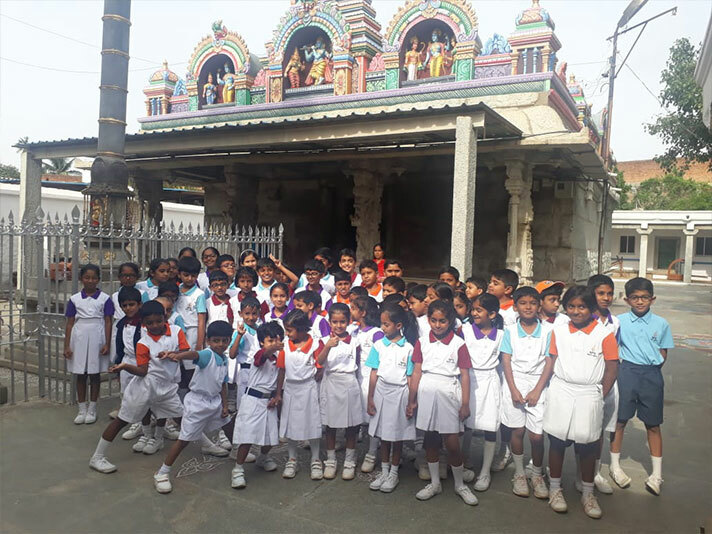 Students learnt about the heritage and culture of the temple and the faith of systems. The curious bunch were next taken to the mosque,where students were informed about the tradition and the way of worship by the maulvis.The final destination was to the Holy Rosary Church in Venkatala, Yelahanka where the main features were the beautiful bells ,Roman arches, main altar and the building architecture.Students were given a brief on the culture and faith of Christianity. No learning is complete without the reflection of the observations done by the students. Students were asked to gather their learning and reciprocate their observations on a reflection sheet. 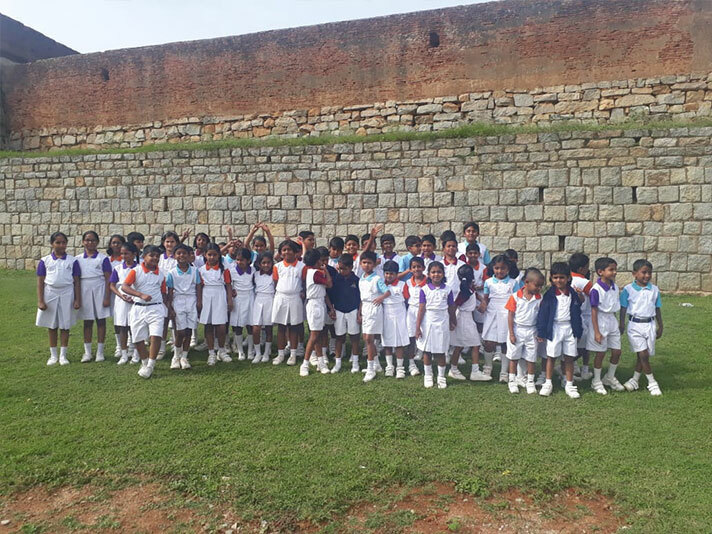 Each of the places had its own unique beauty and the students had great time along with a remarkable learning experience.